Tonight! 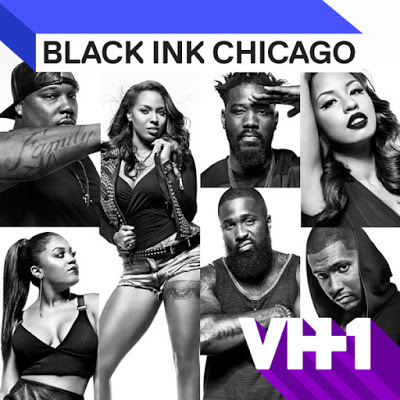 ALL NEW Black Ink Crew: Chicago Season 5 at 9PM on VH1 #BlackInkCrewCHI #BlackInkCHI ~ Phresh Hott New! On today episode of Black Ink Crew: Chicago Season 5, “Tattoo Shop of Horrors” Don has taken over as manager and tensions are building between him and Brittany. Ryan invites an artist from California to come tattoo at the shop. Van hires an apprentice that rubs everyone the wrong way. Ryan decides to throw a Halloween party. Party Patriarchy….. Look below as a new guest artist impresses the crew -- particularly Lily -- and when Ryan approves Don's plan for a Halloween party, Brittney Slam vents about the sexist double standard.